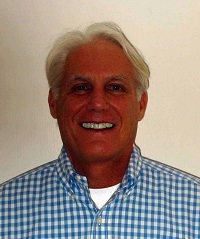 Bill has over twenty-four years of developing and marketing GIS applications. In the early 90’s he founded MapLinx Corporation, a company focused on business applications such as sales analysis, territory design and call planning. After selling MapLinx, McNeil founded Chrona Software, another business mapping company that developed GIS applications for the sales automation and CRM space. When Chrona software was sold to Esri in 1994, McNeil managed Esri’s BusinessMap group for fourteen years. In 2009 he left Esri and developed, under the TexMobile brand, a web-based integrated mapping solution that creates point, cluster and heat maps, builds mileage logs to document travel expenses and creates routing directions from CRM and Excel databases. Bill is an avid UAV pilot. Currently he is developing a map that not only renders no fly locations, but also enables individual pilots and clubs to geocode their unique safe flying locations. Point-and-shoot cameras are back – with wings! Is Pokémon GO a threat to drones? No Fly Apps: What's New?